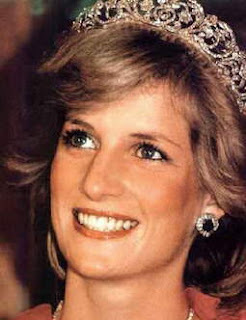 It's impossible to believe that we lost Princess Diana 20 years ago. Such a beautiful woman and a kind soul in every way. I went to Westminster Abbey two days after the funeral, with some flowers I'd brought from home, a bit wilted, but they survived the trip. The ground was covered with tons of flowers. I saw a note that said "You're too good for this world." So true. She left the world a much better place than she found it.